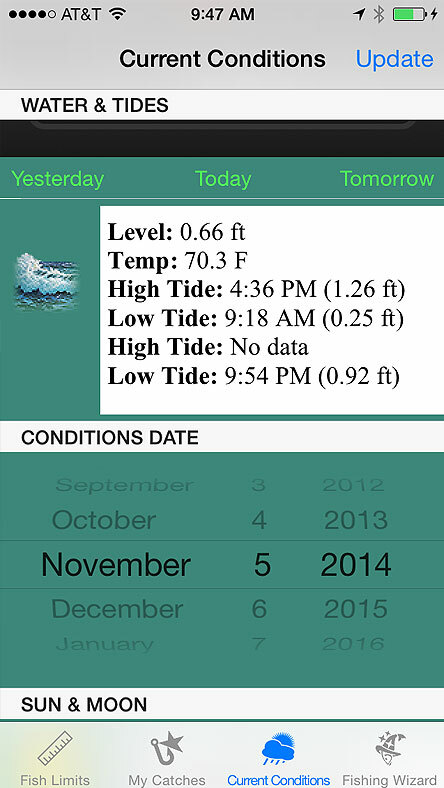 Saltwater Up App has all of these features for you. 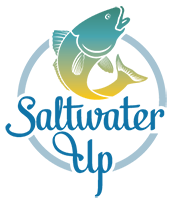 For the Gulf of Mexico, including Federal Waters & State Waters for Texas, Louisiana, Alabama, Mississippi & Florida. Of all the Gulf of Mexico fish to help you identify a fish you have caught. 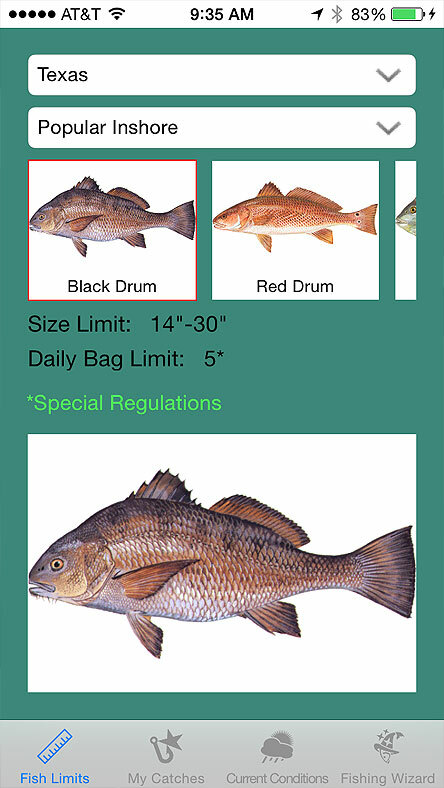 All fishing regulations are availble when offline, which is handy when you need to check regulations out on the water. Save photos with Date, Time, GPS & Fishing conditions & also share them via Text Messaging, email, or Facebook. The Wizard uses your past catch data to find paterns and predict when and where you should fish. 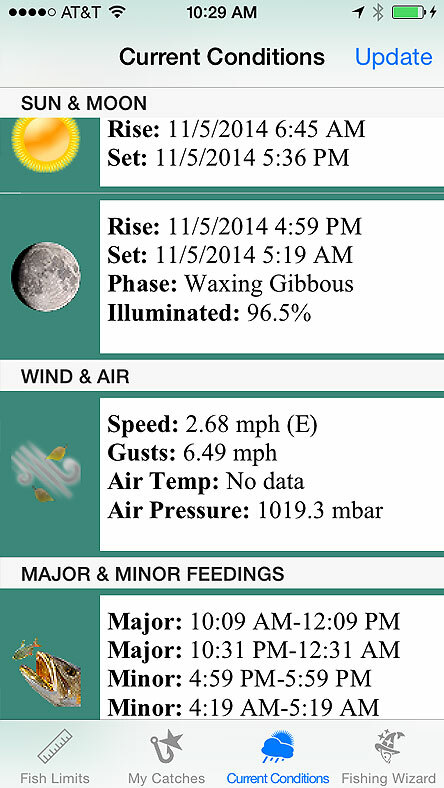 Displays tidal info, moonrise, moonset, sunrise, sunset & major and minor feeding times. The WEB Page interface allows you to access Fish Limits, Catch Info, Current Conditions, and the Wizard from your computer. 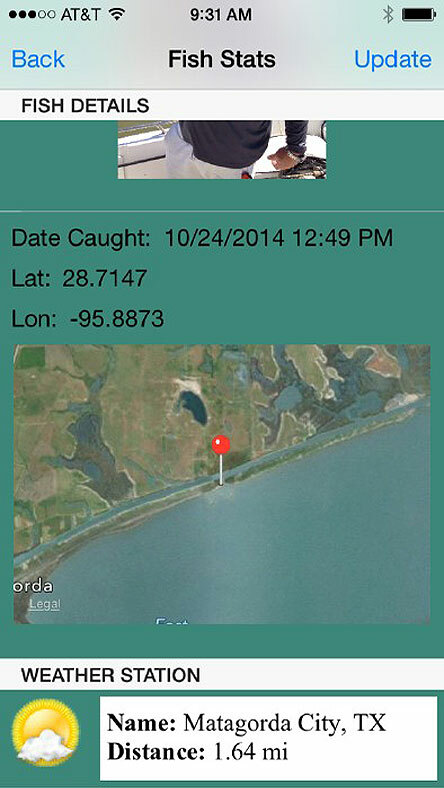 You can use Saltwater UP as a GPS to get back to your previous catch spots. Simple to use, with powerful backend support. Filter by State and Fish Category. For the Gulf of Mexico (Texas, Louisiana, Alabama, Mississippi & Florida). Of fish to help you identify a fish you have caught. Save Photos with Date, Time, GPS and Fishing conditions. 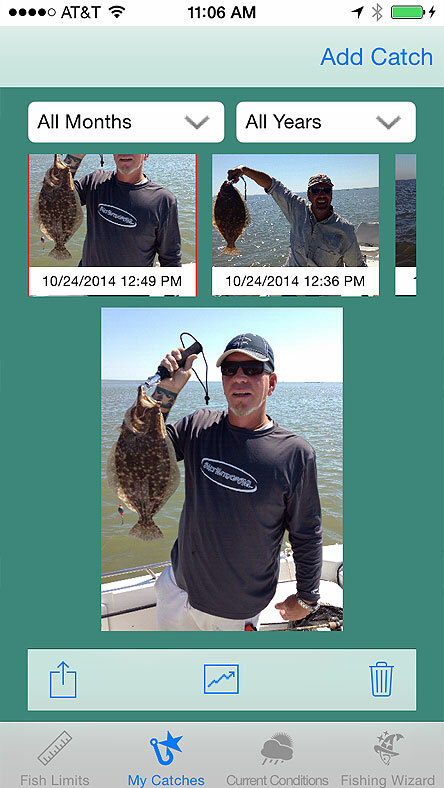 Scroll through your picture gallery to show off your catches. Take pictures and share them via Text Messaging or Facebook. 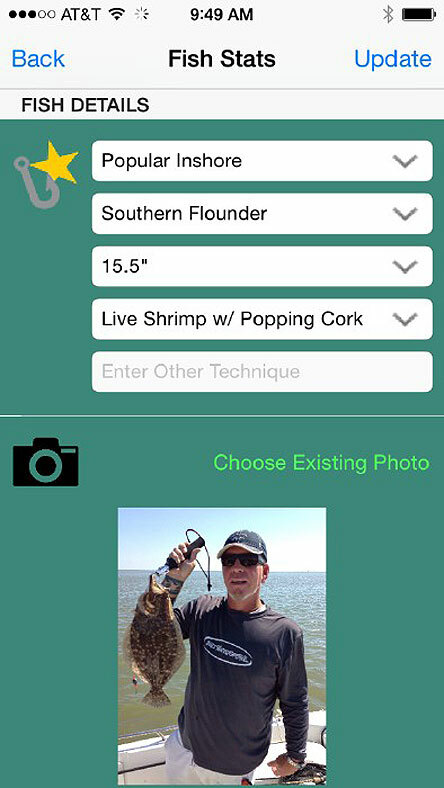 View the fishing conditions that were captured when you took the picture of your fish. Like type and size of your catch, as well as what technique you used. Select a picture from your device, or take a new picture. And gives you a map of where you made your catch. From the nearest weather station. Captures Tide, Temp, Sun, Moon, Wind & Air information. Select the weather station closest to where you are or want to fish for the current fishing conditions. Shows Predicted and Actual Tide information. 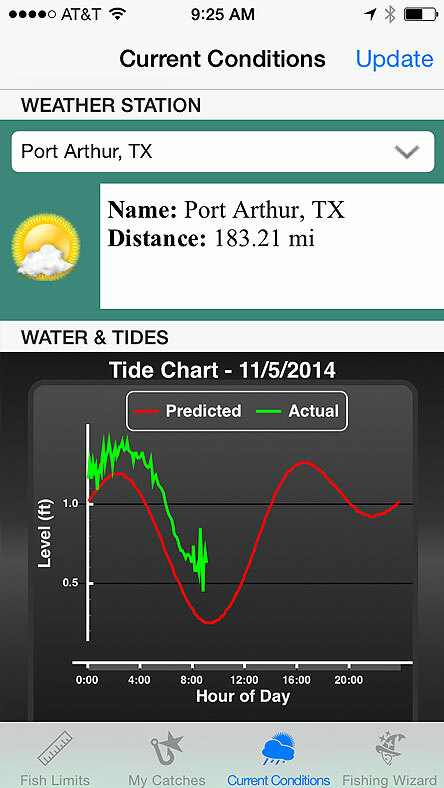 Get all the predicted tide info for the selected date. Change the Date to get Current, Past, or Future fishing conditions. Get Sun and moon info. Get info about Wind Speeds, Gusts, Temperature, and Air Pressure. Shows Major and Minor Feeding times to get the best out of the day. The wizard will use your past catch data to find patterns and predict when and where you should fish. 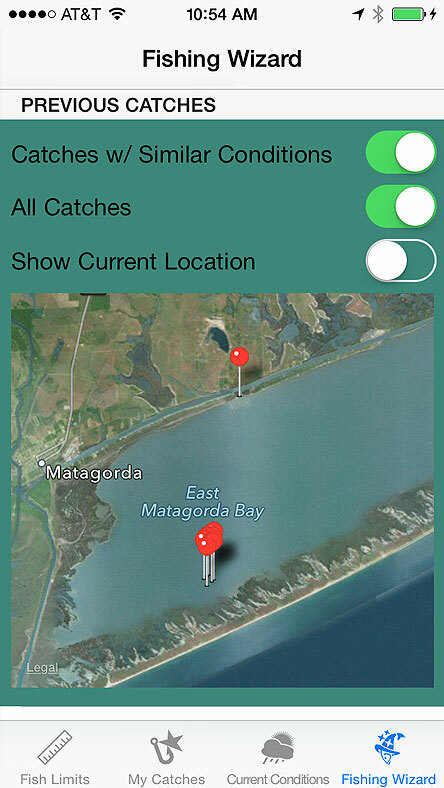 You can use Saltwater Up as a GPS to get to your previous catching spots. © 2014 SaltwaterUp. A ZochNet Development - All rights reserved.